Xiaomi Redmi Note 6 Pro has been launched today in India which is an upgrade to its predecessor, Redmi Note 5 Pro. The smartphone comes with four cameras; dual camera setup on each side. 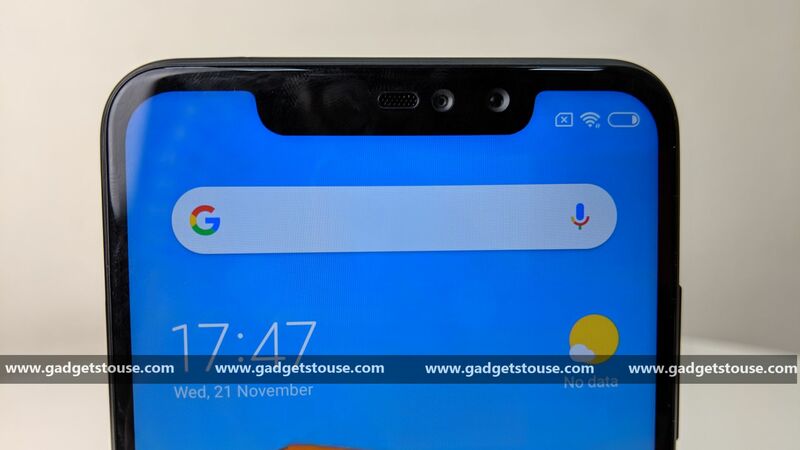 The price of the Redmi Note 6 Pro is same as the price of Redmi Note 5 Pro and both of them start at Rs. 13,999. So, if you are thinking of upgrading from your Redmi Note 5 Pro to Redmi Note 6 Pro then you need to know all of the below-mentioned points before preordering. 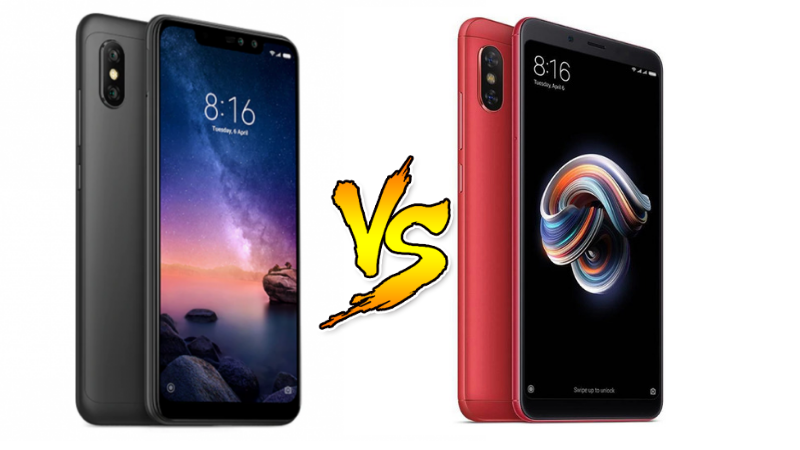 Xiaomi Redmi Note 6 Pro comes with the same design and the build quality as the Xiaomi Redmi Note 5 Pro. The smartphone comes with a metal back which is enclosed by a polycarbonate frame. The Redmi Note 6 Pro is also almost similar in thickness and the weight to its predecessor. The display is one of the most significant change we saw in the new Redmi Note 6 Pro. The Note 6 Pro comes with a 6.26 inches display which is bigger than 5.99 inches (Note 5 Pro). The new Redmi Note 6 Pro also comes with a notch on the display and the aspect ratio is not 19:9 instead of 18:9. The resolution and pixel density of the smartphone is similar to the previous generation. 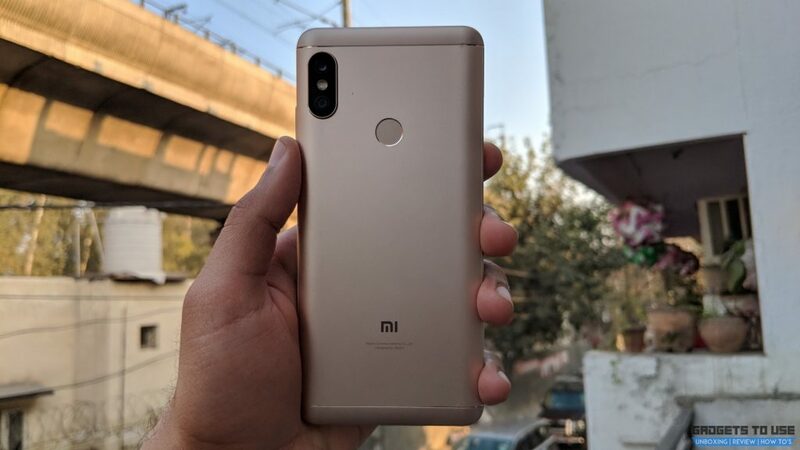 The camera in the Redmi Note 6 Pro is another big upgrade which Xiaomi added to this smartphone. The Redmi Note 6 Pro comes with a 12MP + 5MP camera setup which is similar but the aperture size has been increased to f/1.9 from f/2.2. The pixel size also has been increased to 1.4 micrometer which was 1.25 micrometer before. The front facing camera in Redmi Note 6 Pro is also upgraded and now we have two camera sensors here. The 20MP sensor and a depth sensor of 2MP are provided whereas Note 5 Pro has a 20MP sensor. 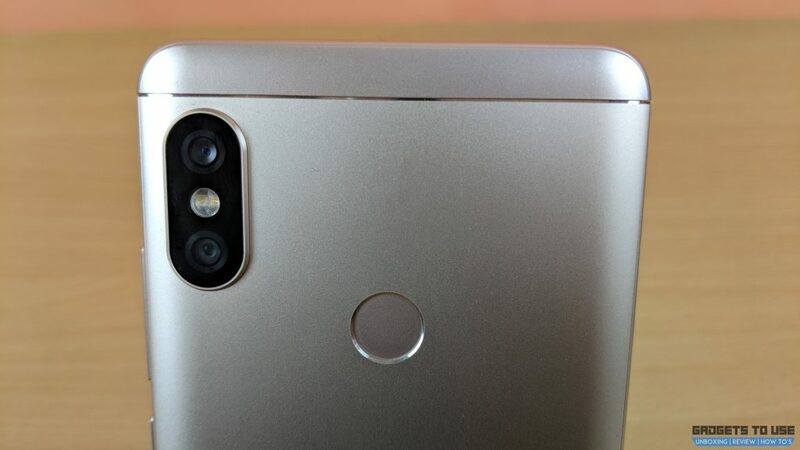 The Note 5 Pro comes with f/2.2 aperture but the new Redmi Note 6 Pro comes with a f/1.9 aperture. Xiaomi removed the front facing LED flash from Note 6 Pro. The new Xiaomi Redmi Note 6 Pro comes with almost similar hardware to Redmi Note 5 Pro. The processor is Snapdragon 636 and the RAM variates from 4GB to 6GB capacity. The storage variant is also similar to the previous generation, the storage is expandable via a microSD card slot in hybrid SIM card tray. 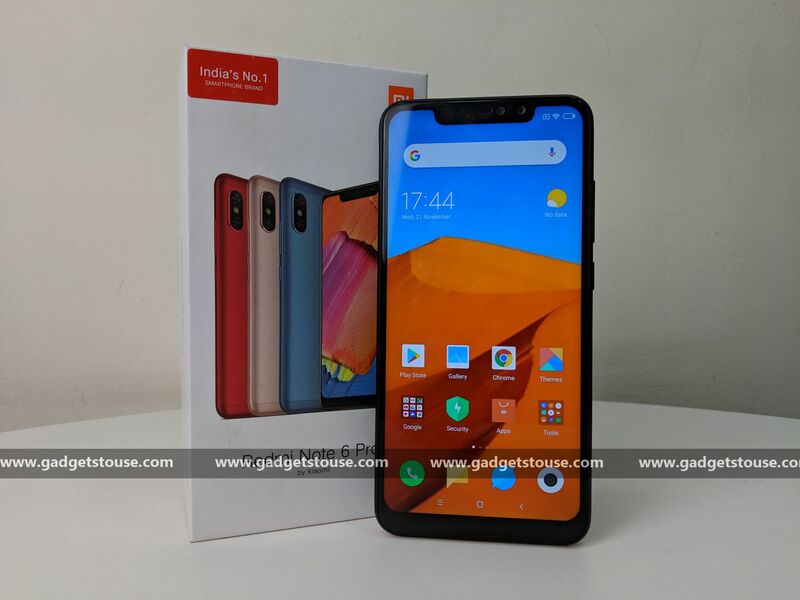 The Redmi Note 6 Pro comes with almost similar specifications to the Xiaomi Redmi Note 5 Pro. The battery is also similar and it still comes with Quick Charge 3 support which charges the smartphone faster. 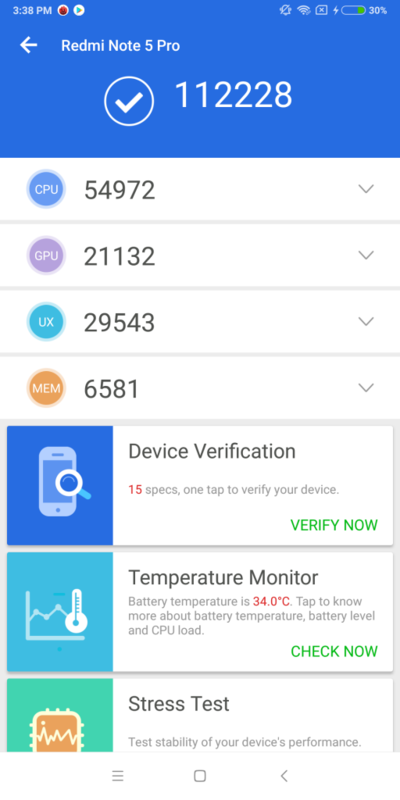 The smartphone comes with the MIUI 10 which is based on Android 8.1 Oreo. 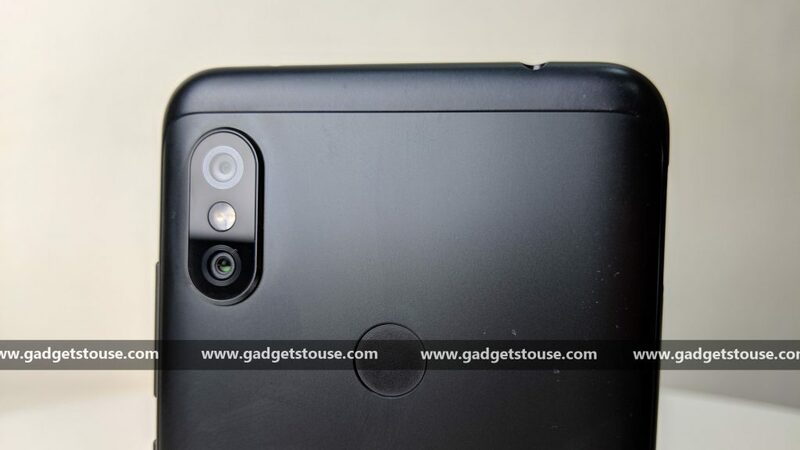 The Xiaomi Redmi Note 6 Pro is an upgrade when it comes to the display and the camera. But when it comes to the performance, the smartphone is not different at any point to the predecessor. 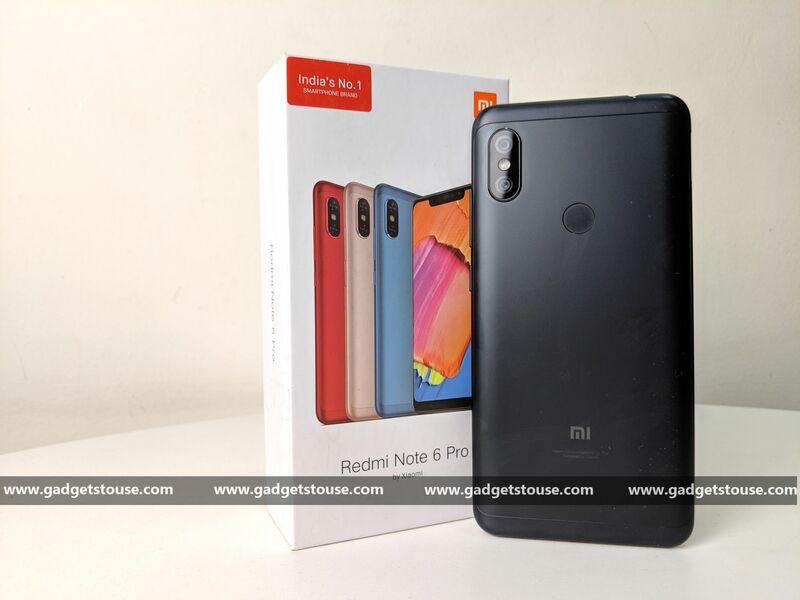 Overall, the Redmi Note 6 Pro is not a good upgrade from the Xiaomi Redmi Note 5 Pro. But if you do not own the Note 5 Pro then Redmi Note 6 Pro will be a great choice at the same price. 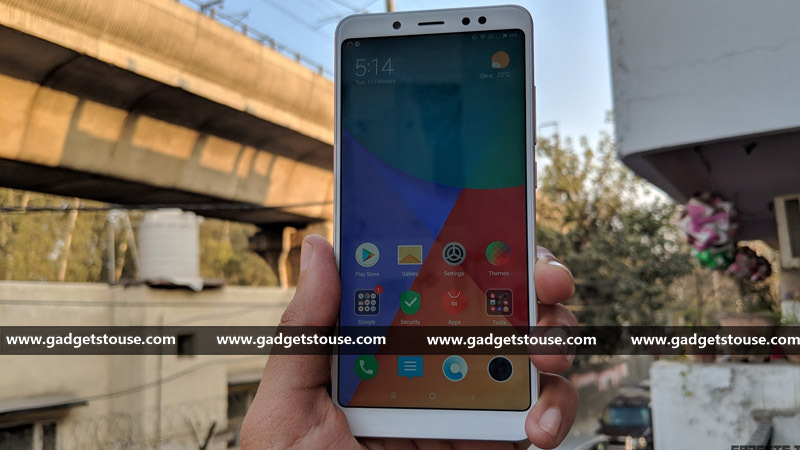 Overall, the Redmi Note 6 Pro is not a good upgrade from the Xiaomi Redmi Note 5 Pro. But if you do not own the Note 5 Pro then Redmi Note 6 Pro will be a great choice at the same price.! !